A classic. 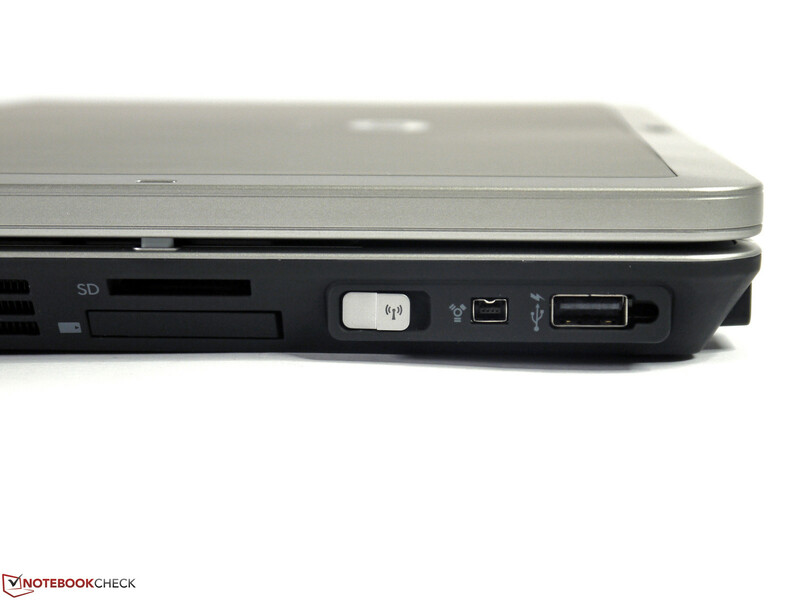 The business convertible HP EliteBook 2760p has its roots in the HP Compaq 2710p, which debuted back in 2007. 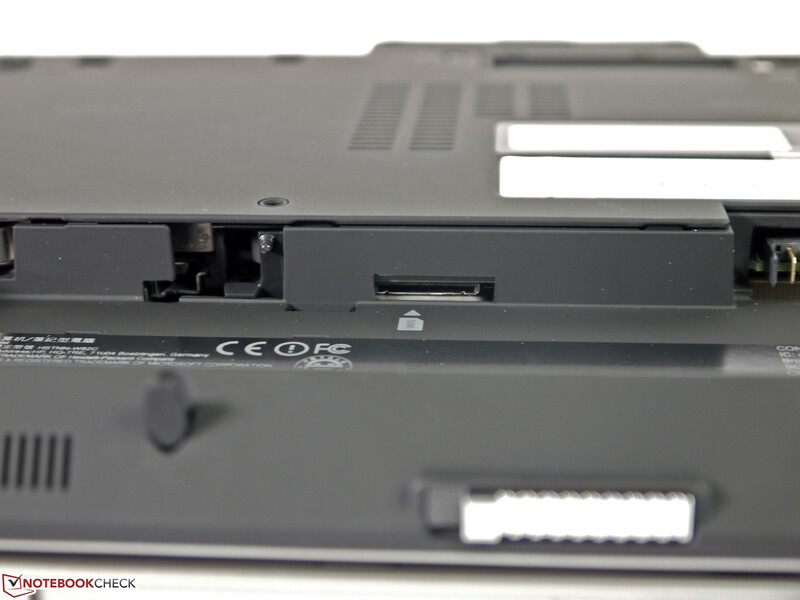 But while HP continually updated the internal components, the chassis remained largely unchanged. How well was HP able to keep the system up-to-date and is it still a viable choice in 2013? HP did not choose a classic convertible design just because of the age of the platform - the target audience was probably also a reason. 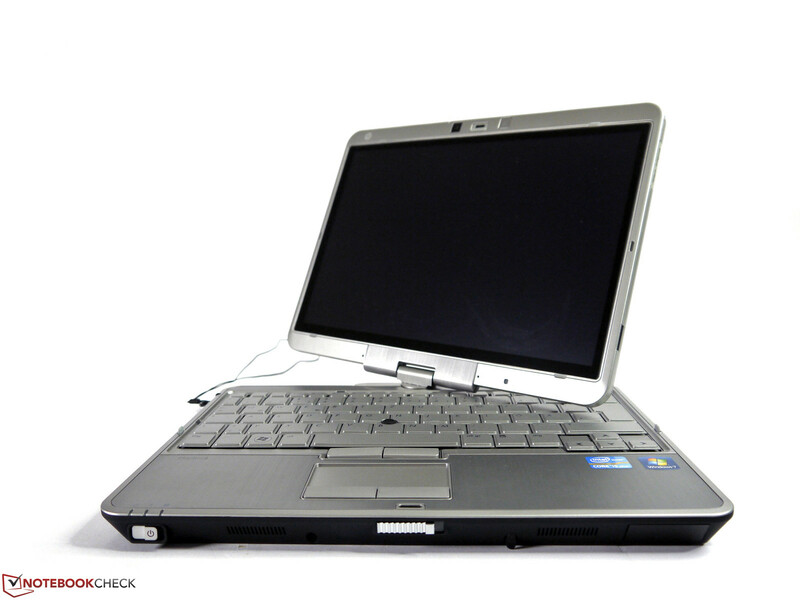 The solid chassis, capable hardware, and swivel-hinge foldable display increase usability: the EliteBook 2760p is not only a subnotebook, but also a tablet at the same time. The 2760p offers quite a few different input options: it can be operated with a finger, stylus, mouse, touchpad, TrackPoint, and the keyboard. Competing models are other business convertibles like the Lenovo ThinkPad X230t, the Dell Latitude XT3, or the Fujitsu LifeBook T902. 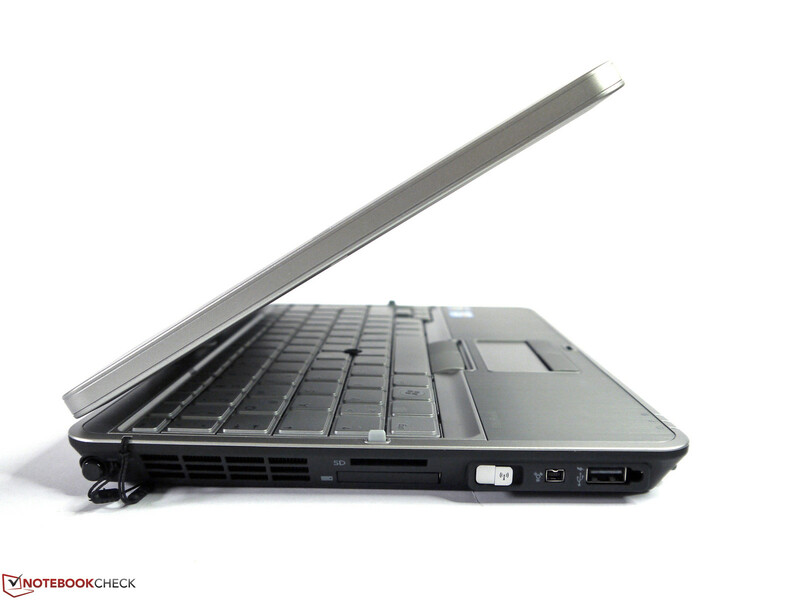 Our review model features an Intel Core i5-2540M CPU, a 128 GB-SSD, 4 GB RAM, and Windows 7 Professional 64-bit. 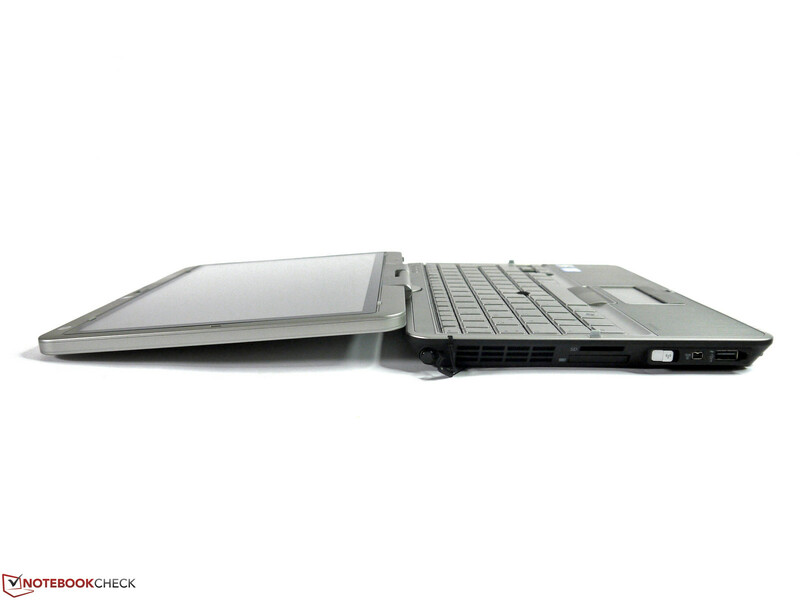 Compared to the predecessor HP EliteBook 2740p, the chassis remains unchanged. The metal surfaces impress with above-average build quality, stability is very good, and the overall feel is convincing. Just like the previous models, the 2760p complies with military standard MIL-STD-810G. The sliding switches and buttons are metal, while the rather subtle lighting emphasizes the premium design. The display, which is mounted in the middle of the back edge of the chassis via a swivel hinge, can only be turned to the right, as before. We noticed a little bit of display bounce due to the construction. The chassis feels good and is quite grippy due to a slightly rubberized coating. The most important components are easily accessible via a large hatch on the bottom. The battery is underneath the palm rest and counterbalances the heavy display out back - although the EliteBook is not stable when the display is tilted too far back. The weight of 1780 grams (~3.9 pounds) is identical to the predecessor 2740p. The battery weighs in at 290 grams (~10 ounces). 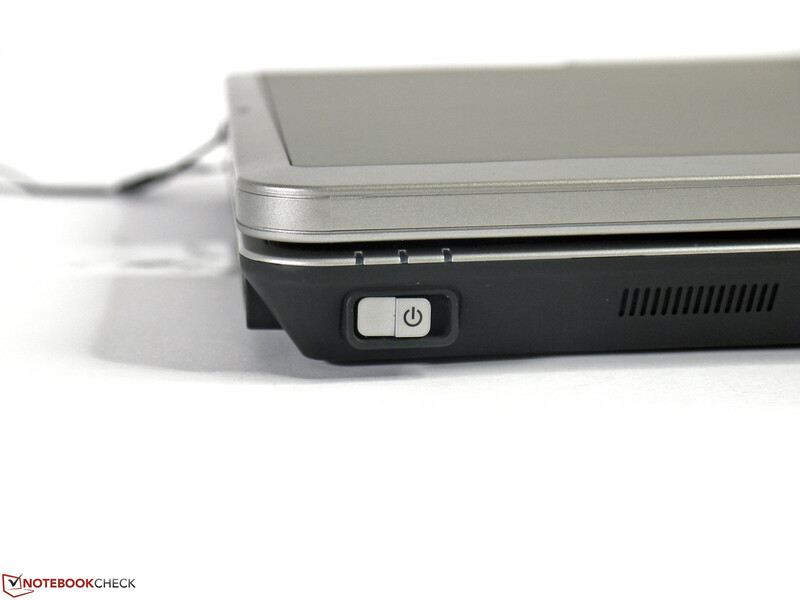 For further details, please check our review of the HP EliteBook 2740p. The connectivity options have not changed: neither USB 3.0 nor eSATA are included. The 4-conductor FireWire 400 port or the three USB 2.0 ports cannot make up for these shortcomings. Also not up-to-date: the VGA port constitutes the only option to hook up an external monitor. 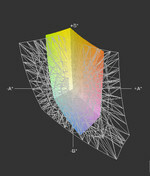 When we tested this output method at 1920x1080 pixels, the resulting picture was not overly sharp. 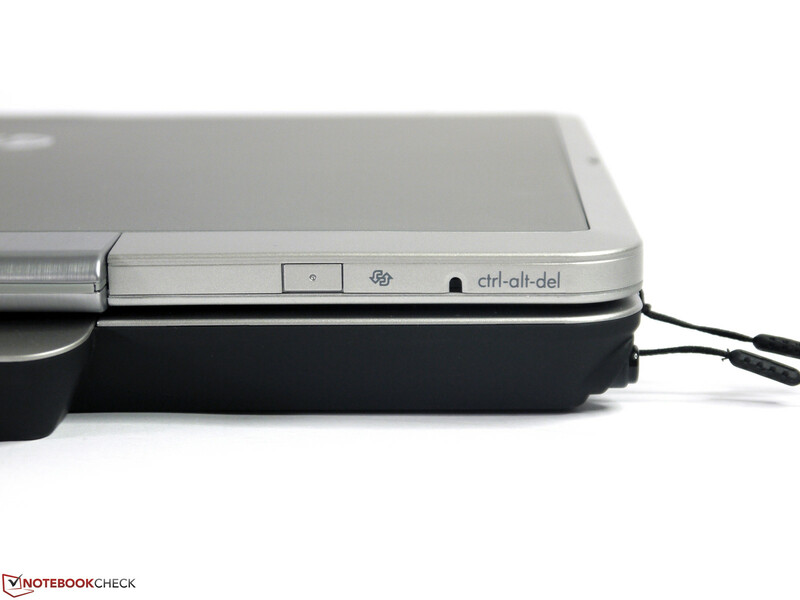 Users needing other display connectors need to invest in the optional docking station, the Ultra Slim Expansion Base (WA995AA), which costs about 220 Euros (~$280). 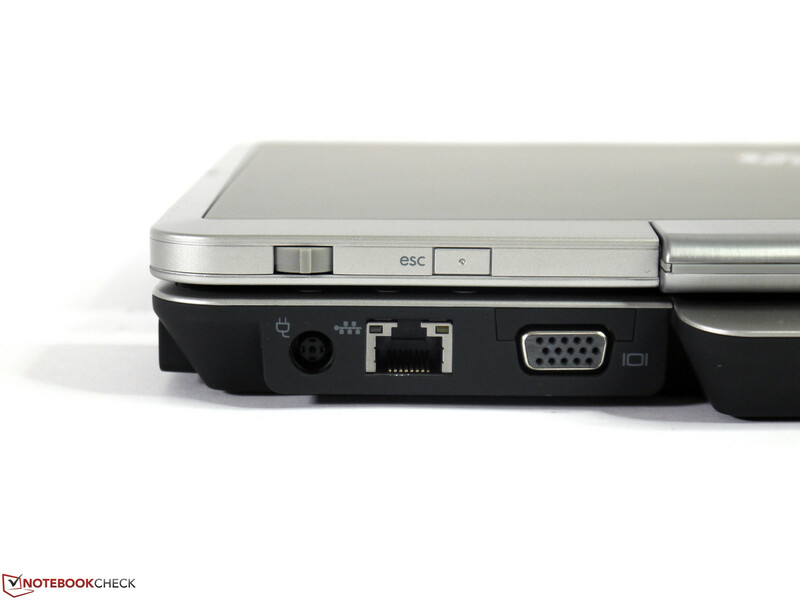 In addition to the usual ports, this docking station also includes a DisplayPort, eSATA, and an optical drive. 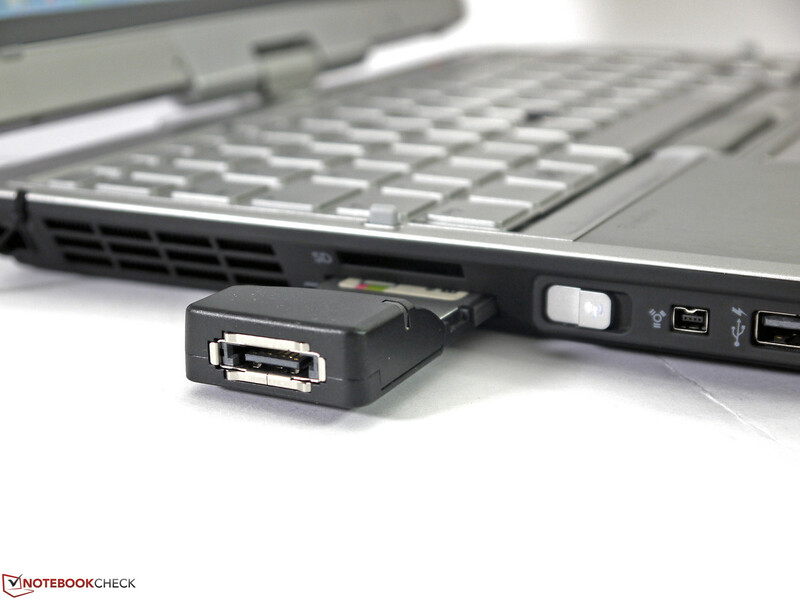 The convertible itself includes a card reader, ExpressCard/34 slot, smart card reader and Gigabit LAN, which should satisfy most business users. 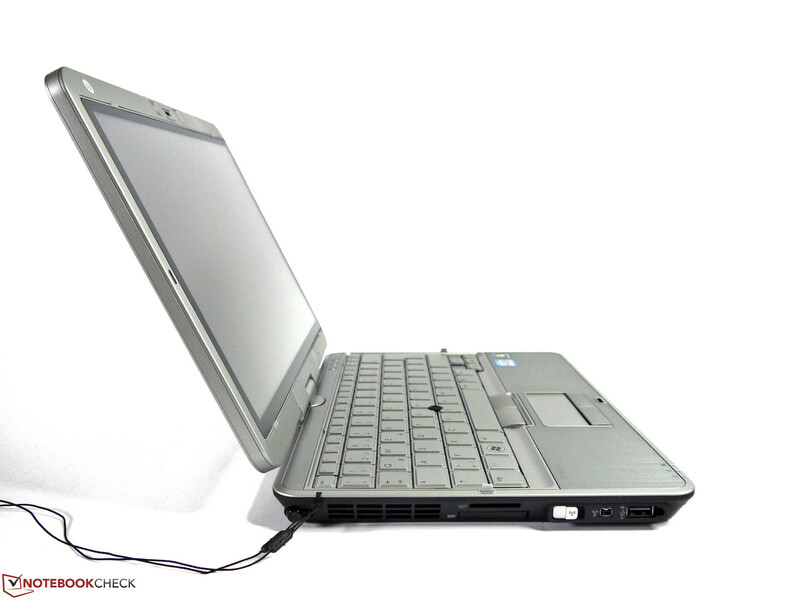 Although the EliteBook 2760p does not come with the latest and greatest communication hardware, all the important areas are covered: WLAN, Bluetooth, and WWAN are all integrated. The Intel Centrino Advanced-N 6205 WLAN module features two antennas, is capable of either 2.4 GHz or 5 GHz, and offers a theoretical throughput of up to 300 Mbit/s. 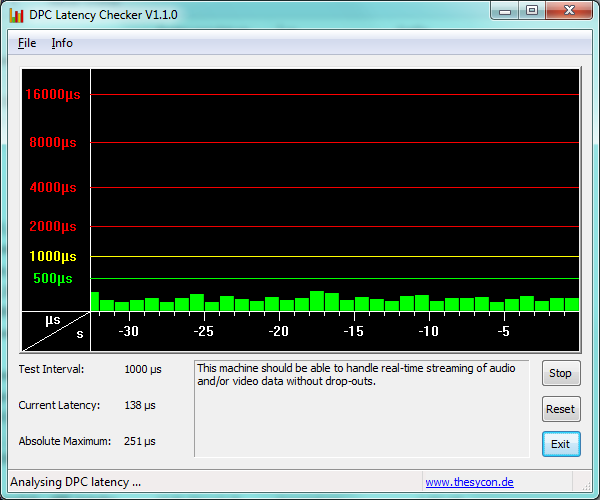 The signal quality is on par with other comparable WLAN modules. The 3G WWAN module with integrated GPS offers download speeds of up to 21 Mbit and upload speeds of 5.76 Mbit. The reception quality is better than what the iPhone 4s has to offer. We did not really notice an improvement when we used the foldout antenna, however. 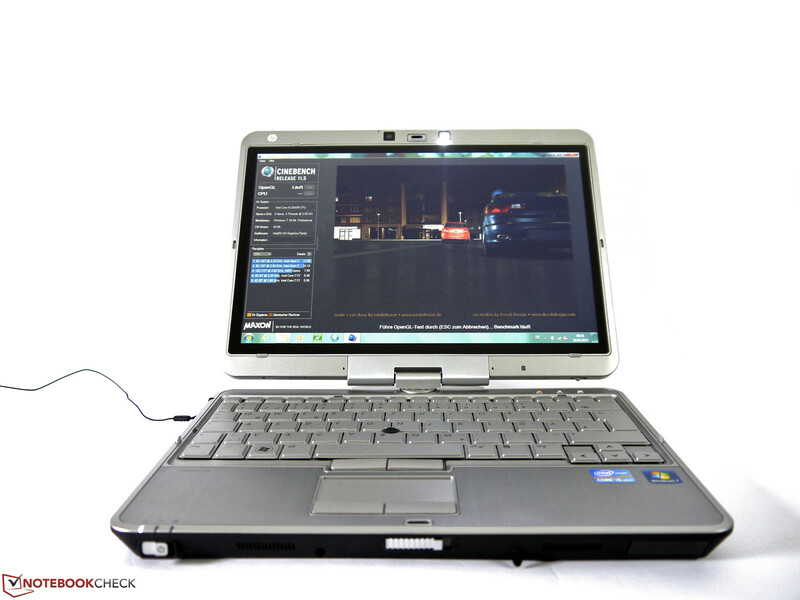 Bluetooth 3.0, two microphones, and an HD webcam round out the connectivity options. The frame of the display houses a fingerprint reader, which is also accessible when the device is used as a tablet. 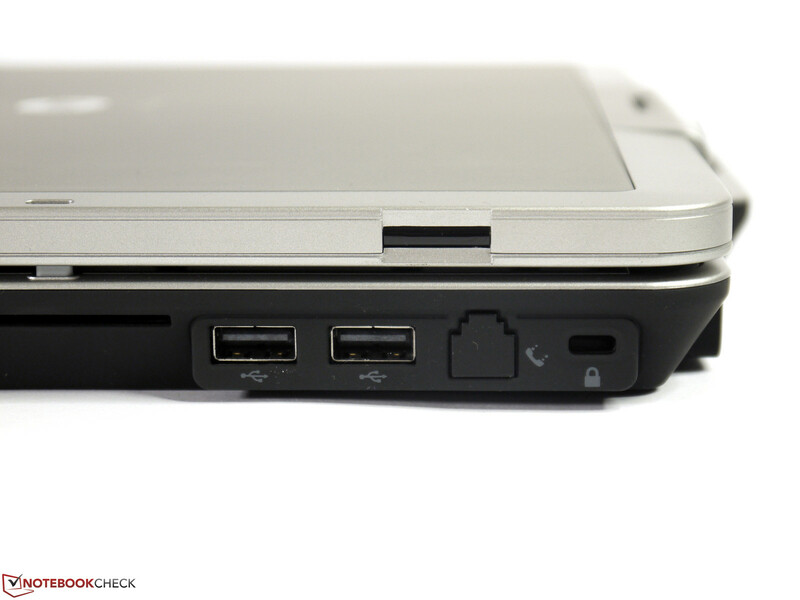 The EliteBook supports many security features and comes with a smart card reader, Trusted Platform Module 1.2, and the usual password options. 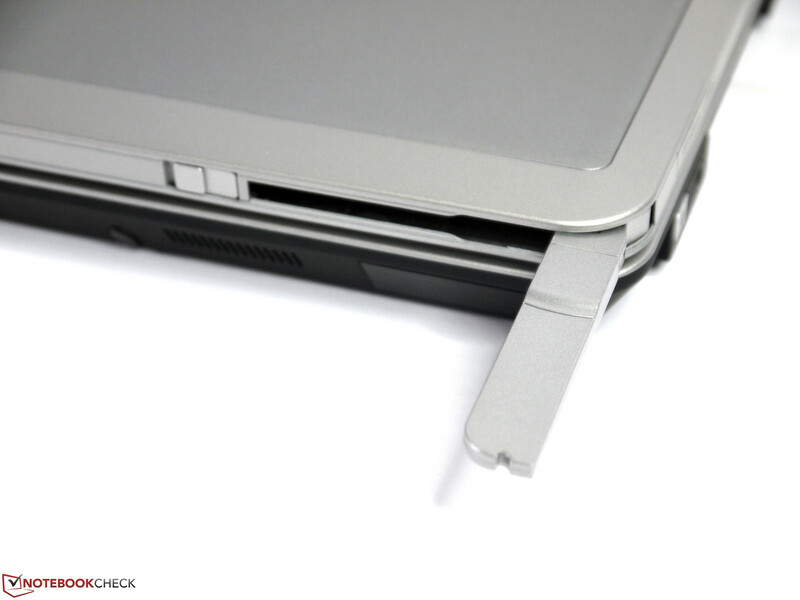 For additional security-related information please check our article on security solutions for notebooks. 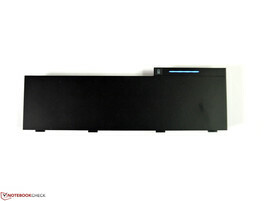 All important components like hard drives, RAM, and wireless modules are easily accessible after removal of the maintenance cover on the bottom. To access the fan, further disassembly of the chassis would be required - a time-consuming task which could potentially void the warranty. The warranty is a rather lengthy, but business-class appropriate 36 months. Of course, HP also offers additional warranty options for a surcharge. 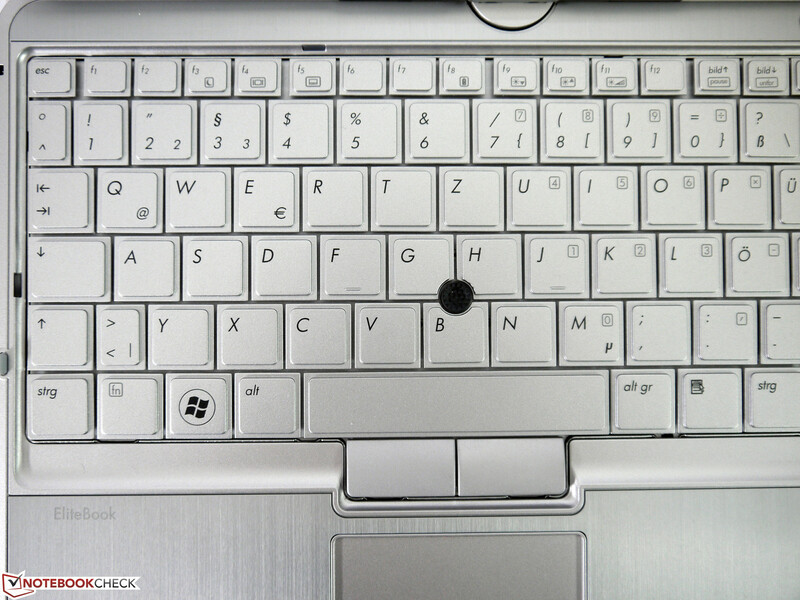 The keyboard also remains unchanged and is identical to the one HP used for the EliteBook 2740p. The keyboard noise is pleasant, as is the key stiffness. Although key travel is short, it did not take us long to adapt. 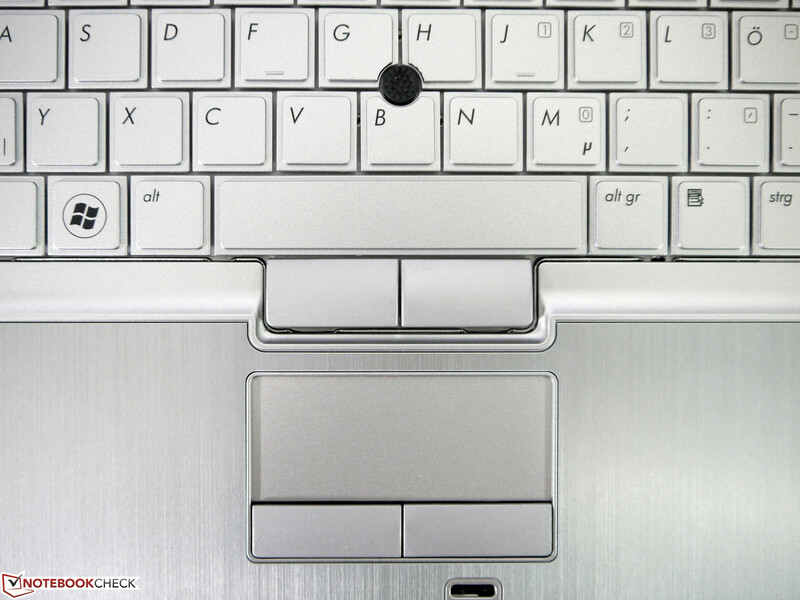 We do not like the way they keys are labeled - the writing does not have enough contrast - and the fact that the keyboard flexes a bit in the central region. The keyboard light uses a lamp integrated into the display, which is not nearly as good as a true backlight - although the solution still works well in darker environments. 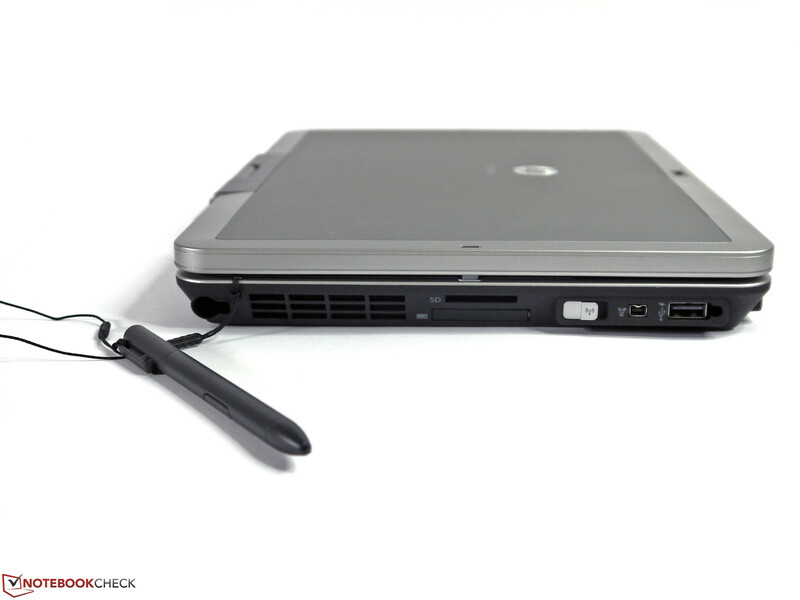 For additional impressions, please check our review of the HP EliteBook 2740p. 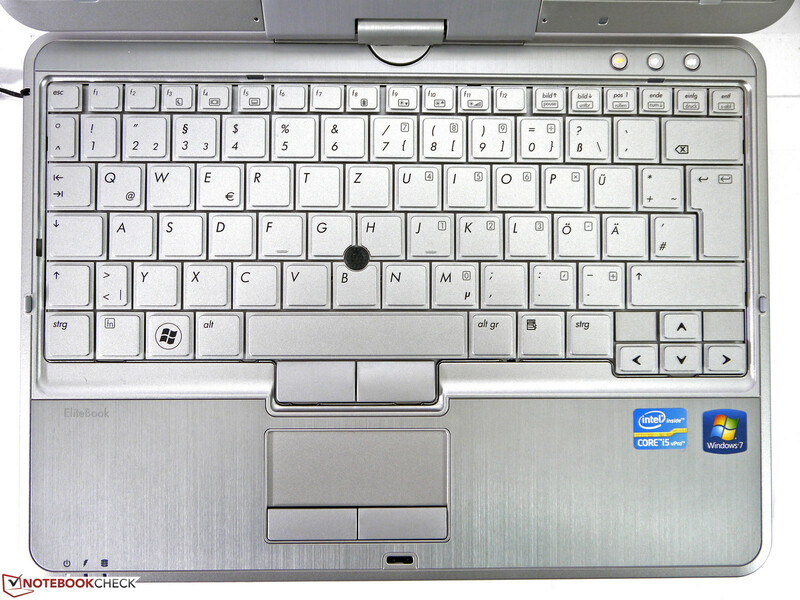 The original HP Compaq 2710p did not feature a touchpad - although HP integrated one in the successor HP EliteBook 2730p. Since the chassis was not really modified going from one model to the next, space continued to be at a premium - and so the touchpad is rather small by today's standards and measures only 69 x 29 millimeters (2.72 x 1.14 inches). Despite that fact that the surface allows fingers to glide smoothly, the touchpad can only provide basic functionality - there is not enough room for gestures requiring more than one finger. The point stick works much better as a mouse substitute, as it is very accurate after an adjustment period and works well in crowded environments where there isn't enough room for a mouse. Some applications are easier to control with a finger or a stylus - working on the display directly is sometimes just quicker. Compared to desktop solutions with an external graphic pen tablet and high-resolution display, space here is at a premium, however. Compared to the predecessor, the accuracy of the Wacom digitizer pen has not changed. In the corners we observed differences of about 2 millimeter (0.08 inches) between the tip of the stylus and the cursor; 1 - 2 centimeter (0.39 - 0.78 inches) away from the perimeter this difference disappears. 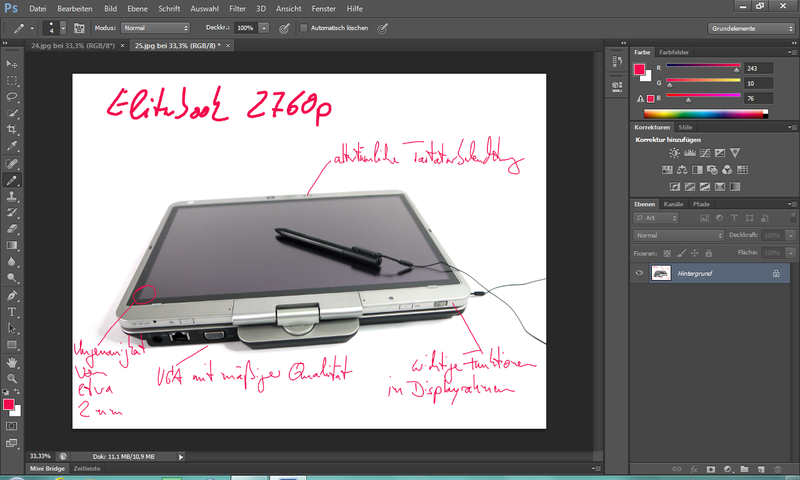 Although the pen input is decent, its accuracy is not on the same level as it is for the Fujitsu LifeBook T902. 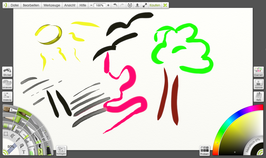 The digitizer pen supports several levels of pressure, although if they are usable or not depends on the software: Art Rage 4 recognizes this functionality, Adobe Photoshop CS6 does not. The design-specific drawbacks, like the noise the pen makes when hitting the display or the lag when drawing quickly, are comparable to the competition. The fingers are suitable for tasks requiring less accuracy - for example, for moving a file across the display or to open a folder - as the size of the icons and symbols is still large enough. More delicate movements, like resizing a window or moving the cursor into position might take several tries. Since the chassis itself has not been updated, the form factor remains unchanged - and therefore the display features a 16:10 aspect ratio. At first glance, the 12.1-inch screen with its 1280x800 pixels looks almost antiquated - but compared to the more current resolution of 1366x768 pixels, the panel offers more pixels vertically, which can be an advantage when viewing pictures and text. The pixel density of 125 dpi offers a good compromise between usable space and size. The display backlighting is up-to-date and uses LED technology. The surface is neither matte nor glossy, which on one hand reduces glare, but also allows fingers to glide easily. 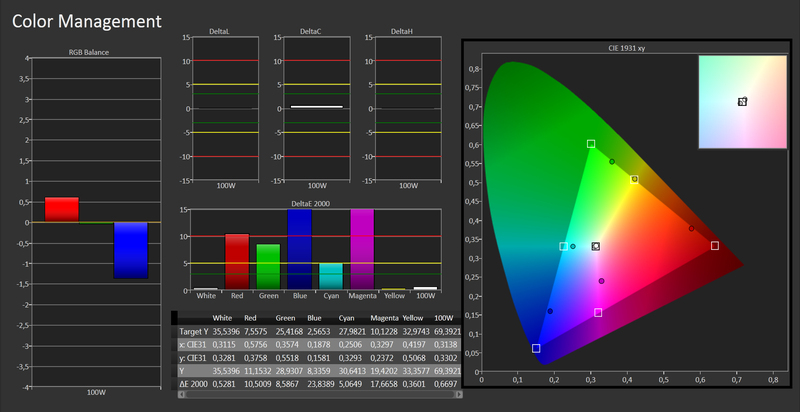 To evaluate the brightness of the display, we took measurements in nine different areas. We recorded levels from 228 to 268 cd/m² and an average of 247 cd/m², which equates to a brightness distribution of 85%. The maximum brightness is also available during battery use - although we observed a reduction to 200 cd/m² when we used energy-savings mode with no way to increase the brightness. The screen brightness can also be adjusted automatically, as the 2760p comes with an ambient light sensor. 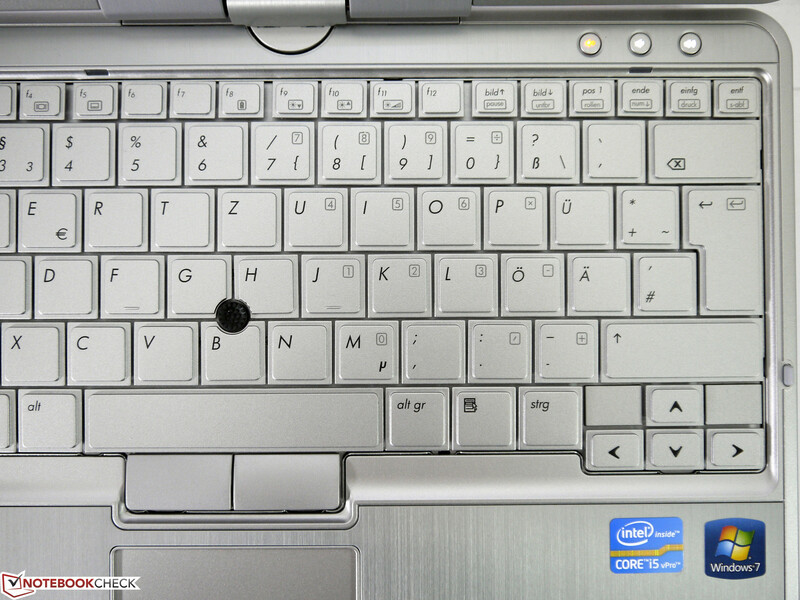 This functionality can be enabled and disabled using the Fn/F11 key combination. The increased display brightness of the 2760p compared to the predecessor pays dividends outside. On cloudy days or in the shade, working with the convertible is a pleasure. On very bright days, deciphering the screen content is more difficult - because the display is not completely matte. Although the reflections are not blinding but rather diffused in appearance, they still are somewhat annoying. 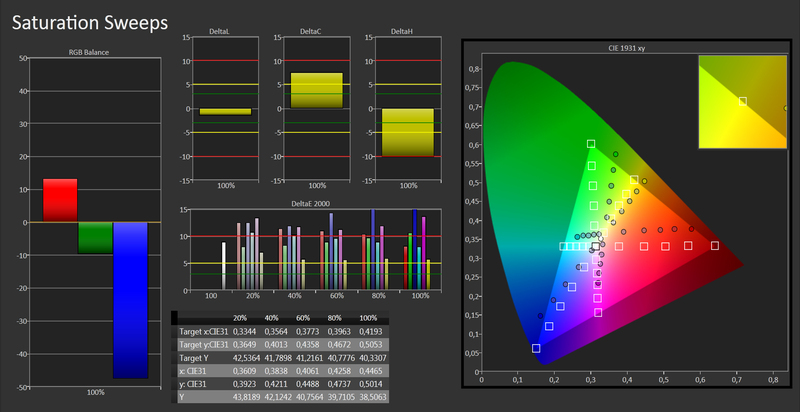 The contrast ratio of 534:1 is quite acceptable and better than average. Colors are vivid and blacks are deeper than what most inexpensive panels can produce. 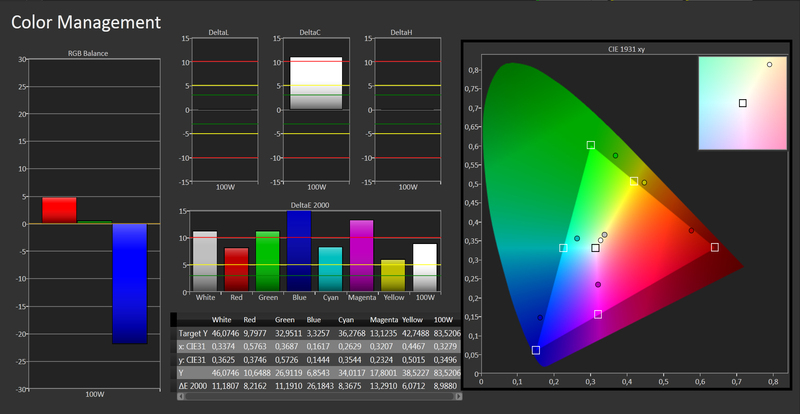 Coverage of the professional color spaces is below average, however, as sRGB is only covered to 50% - not nearly enough for professionals working with photos or graphics. The same is true for the color accuracy, which improves visibly after a calibration, but still misses the mark by quite a bit. 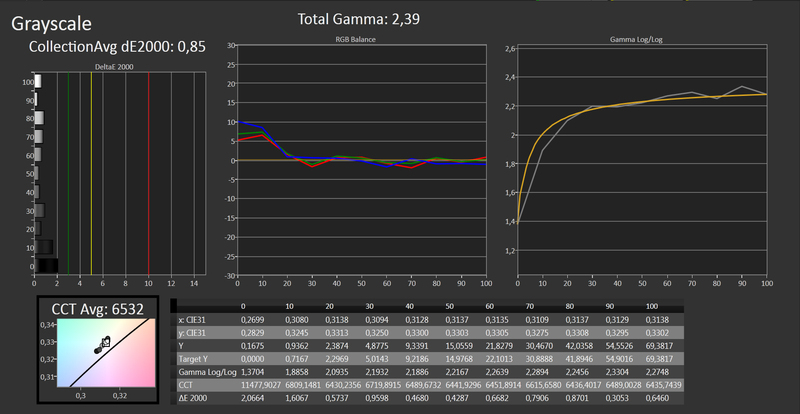 The gray levels are impressive with an average Delta E 2000 of 0.85. Viewing angle stability is very good indeed: the picture quality does not diminish much regardless of the direction and angle. 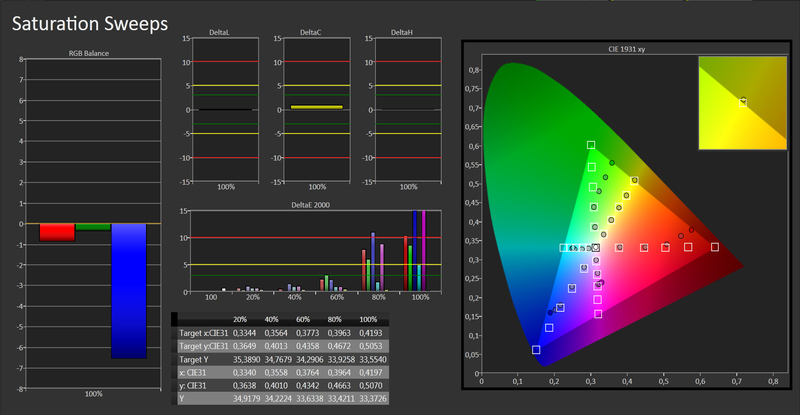 HP's claim of "ultra wide viewing angles" is not an exaggeration: only brightness and saturation decrease a bit. The display surface also exhibits a slightly bluish cast depending on the angle - but fortunately, this is not really noticeable in most usage scenarios. Since HP only updates their business convertibles about every two years, our review model still uses Intel's older Sandy Bridge architecture. The hardware - Intel Core i5-2540M-CPU, four GB RAM, integrated Intel HD Graphics 3000, and speedy Solid State Drive - should be able to handle most tasks without issues, however. 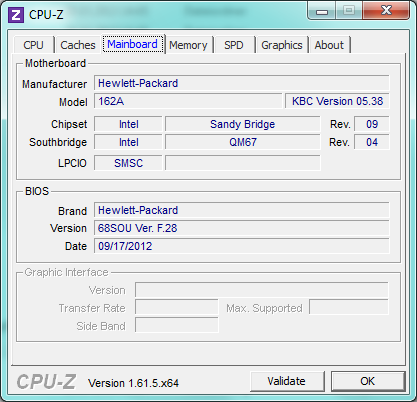 HP uses Windows 7, which many companies still prefer over Windows 8. 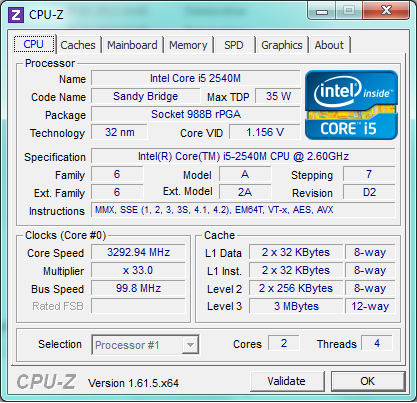 The Intel Core i5-2540M is a standard Sandy Bridge processor with a Thermal Design Power of 35 Watts. HP decided against using frugal Ultra Low Voltage CPUs for the series. 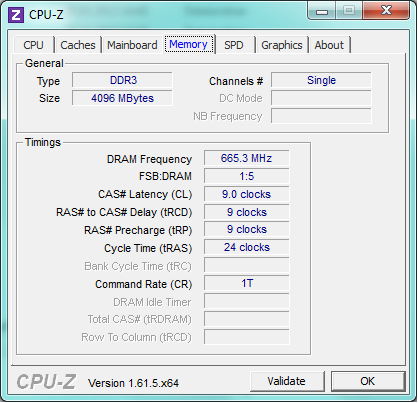 The processor features a clock speed of 3.6 GHz, but is capable of 3.3 GHz (single thread) using Turbo Boost. 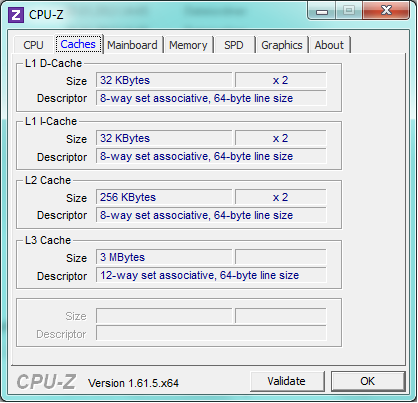 Since the dual-core CPU also supports multithreading, up to four threads can be processed simultaneously. The two technologies ensure optimized performance sufficient for most scenarios. 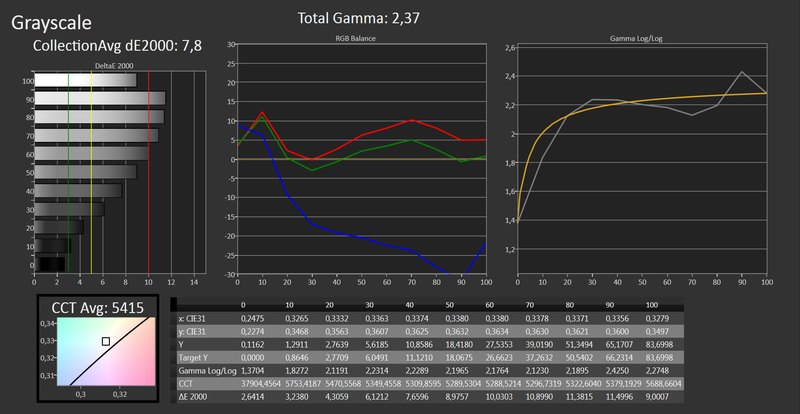 The results of the benchmark tests are slightly higher than what we normally see for this specific processor. 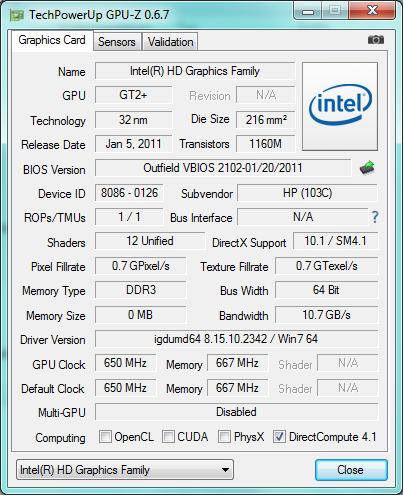 The CPU scored 4234 during the single-threaded Cinebench R10 (32-bit) and 9259 points during the multithreaded test. Throttling was not observed - even when we subjected the system to maximum load. Running the convertible on battery power, however, results in a performance decrease of about 15%: the Cinebench R11.5 (64-bit) Multi concluded with a score of 2.43 points instead of 2.98 points. Overall system performance depends largely on how well all internal components work together. The bottleneck of our review system is the RAM: the single four GB module forces the RAM to operate in single-channel mode, which has an impact on memory speed and in turn on graphics performance, since the GPU uses shared and not dedicated memory. The Solid State Drive, on the other hand, is much faster than conventional hard drives and contributes to application and execution performance. Performance is sufficient for office-type tasks and - as long as Intel's Quick Sync technology is supported - also for video conversions. 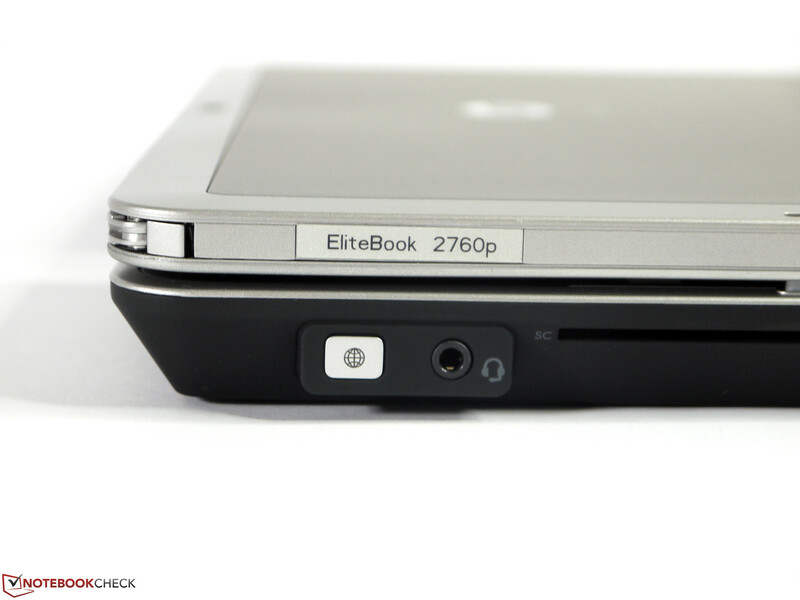 The EliteBook 2760p is not really suitable for 3D tasks like CAD or animation programs or demanding games. 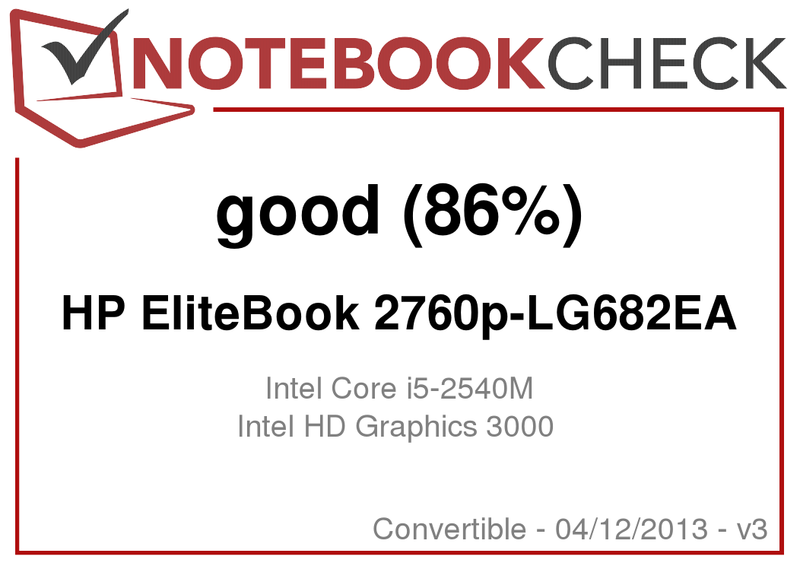 The 2760p garnered 12743 points running the PC Mark Vantage test - a good score, for which the SSD is at least partially responsible. HP uses a fast but rather small Samsung Solid State Drive. 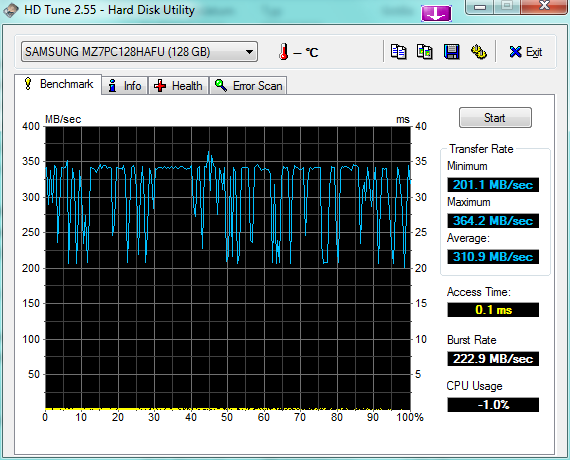 Compared to a conventional hard drive, 128 GB offer significantly less space for programs and data. The very fast access speeds and high sustained transfer rates, on the other hand, are significant advantages - and that speed is definitely noticeable when working with the convertible. The sequential read speed reaches 305 MB/s; the access times are between 0.079 and 0.239 milliseconds. Only 7 millimeter drives fit - an important consideration when swapping out the installed SSD for a larger-capacity drive. 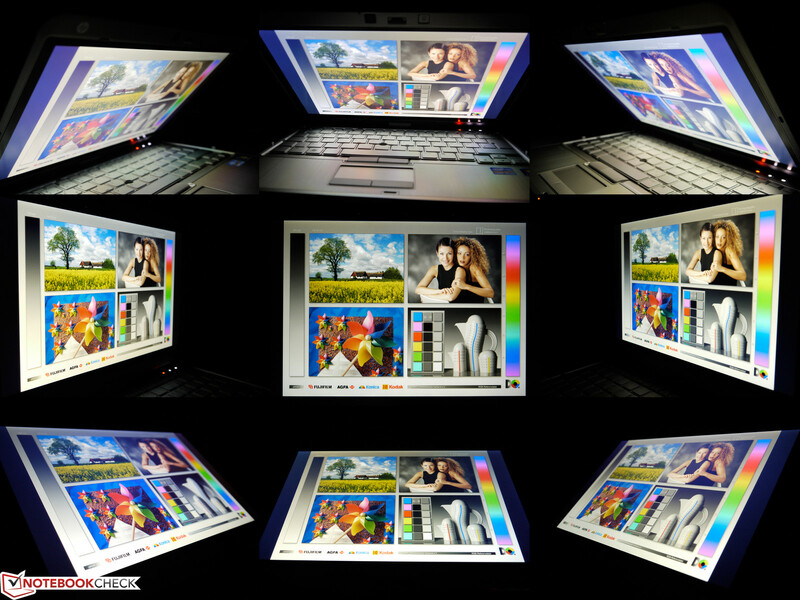 The integrated Intel HD Graphics 3000 is sufficient for typical office use. Working with word documents, editing photos, or video conversions using Intel's Quick Sync pose no problems. 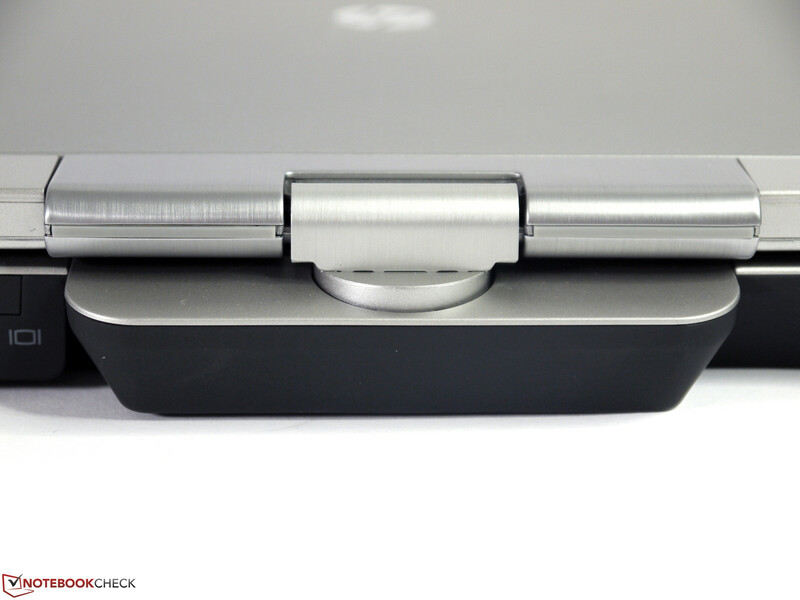 HP's Ultraslim Expansion Base (docking station) allows the use of dual monitors. The integrated graphics card does reach its limits if 3D power is required. A second RAM module enables dual-channel mode and increases performance by 20-30% depending on the application - but this increase is not enough for current games or other 3D software. Our review model scored 1620 points running 3D Mark Vantage and 5109 points running the Cinebench R10 (64-bit) OpenGL Shading benchmark test. Performance does not decrease even when the system is subjected to continuously high load levels. When we ran the convertible on battery, we did see a small drop in performance: the Cinebench R11.5 OpenGL Shading benchmark finished with 8 instead of 8.21 fps. Although gaming is possible, compromises are necessary as far as the resolution and the quality are concerned. A secondary RAM module will increase the performance and the frame rate compared to our results - but the 2760p is by no means a gaming system. Having the RAM operate in dual-channel mode might at least allow some games to be played at higher quality settings or at the native resolution of 1280x800 pixels. Even if the option "fan always on when on AC" is deactivated in the BIOS, the fan rarely stops spinning completely. It usually takes about 2-5 minutes before that happens - but the total silence does not last very long. With the fan spinning, we saw 32.7 dB(A), which is audible, but not obtrusive. We did not notice any annoying sounds or fan pulsing. Under medium load levels, the noise increased to 36.2 dB(A); under maximum load we recorded a still acceptable 39.9 dB(A). Since the cooling fan is active most of the time, the temperatures stay well controlled: we observed 32.9 degrees Celsius (91.22 degrees Fahrenheit) under load and a maximum of 31.2 degrees Celsius (88.16 degrees Fahrenheit) during idle - quite low indeed. Handling should never be an issue, as the chassis remains perfectly cool at all times. Even after a 2 hour stress test, we did not encounter any throttling due to overheating. (+) The maximum temperature on the upper side is 32.9 °C / 91 F, compared to the average of 35.4 °C / 96 F, ranging from 21.8 to 55.7 °C for the class Convertible. (+) In idle usage, the average temperature for the upper side is 28.4 °C / 83 F, compared to the device average of 30.3 °C / 87 F.
(+) The palmrests and touchpad are cooler than skin temperature with a maximum of 25.9 °C / 78.6 F and are therefore cool to the touch. (+) The average temperature of the palmrest area of similar devices was 29 °C / 84.2 F (+3.1 °C / 5.6 F). The two speakers emphasize the highs but neglect the mids as well as the bass. At maximum volume, the speakers sound a little distorted and increasingly tinny. 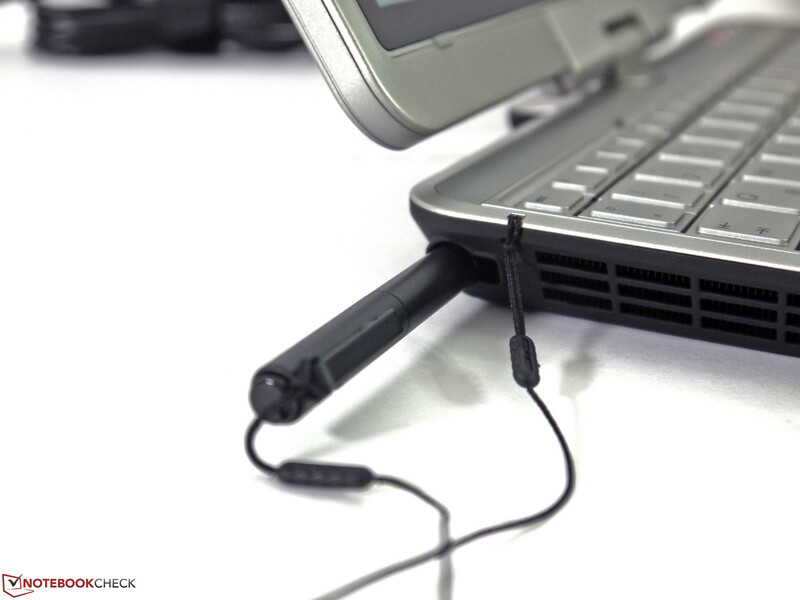 External speakers can be connected using the 3.5-millimeter headphone jack or a USB port. 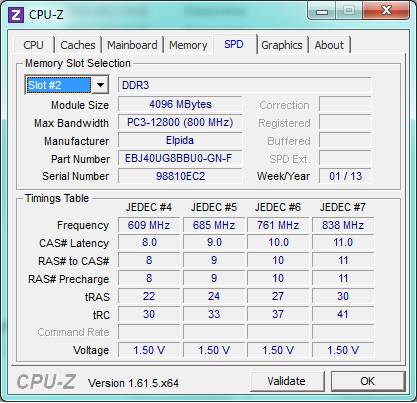 The power consumption ranges from 7.9 Watts to 68.4 Watts. The power adapter supplies 65 Watts and could potentially be a limiting factor during maximum load scenarios - although we never saw the CPU frequency drop during our benchmark tests. 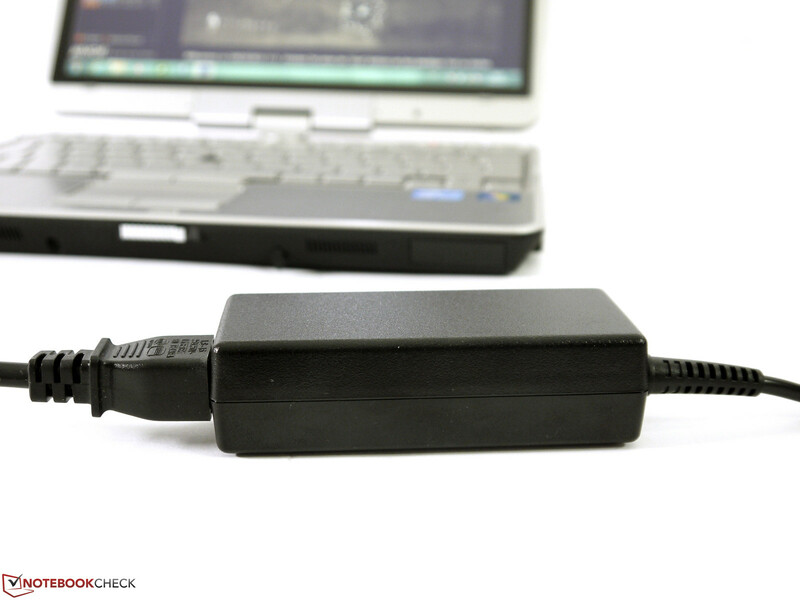 The power output of the adapter is probably still sufficient even during rather extreme conditions. The included battery has a capacity of 39 Wh and supposedly features a very long life span. 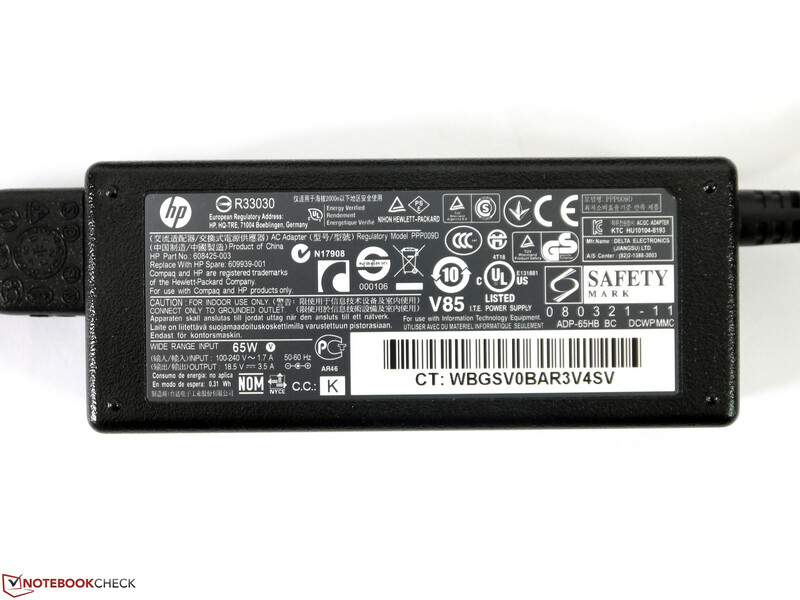 HP also offers a "normal" battery with a capacity of 44 Wh and a slab battery (RX932AA) with 46 Wh. 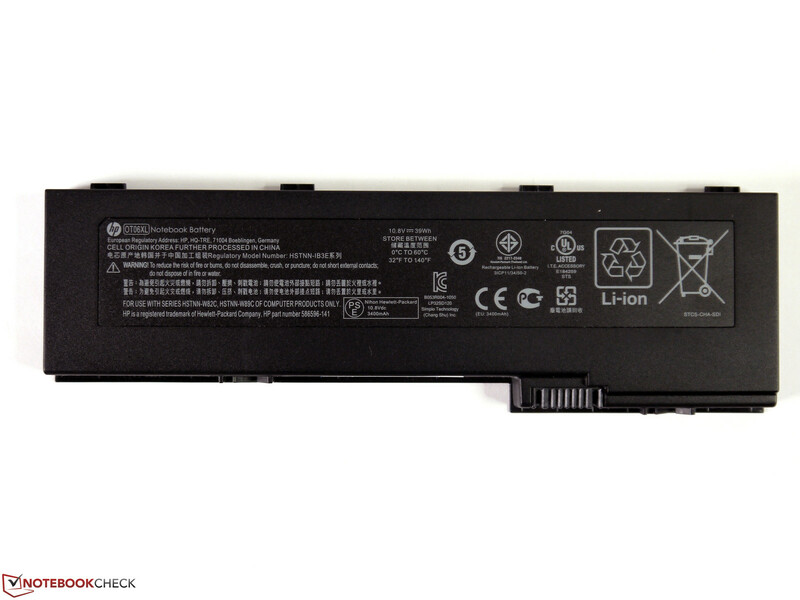 All batteries are backwards compatibly with older models - even the HP Compaq 2710p. Since the battery is not very large, battery life is average at best. When we ran the Battery Eater Reader’s Test (minimum display brightness, energy-saving profile, wireless disabled) to check the maximum battery life, the convertible lasted 6 hours. During the more relevant WLAN test (display brightness set to 150 cd/m², energy-savings profile, wireless enabled), the system shut down after only 3 hours. 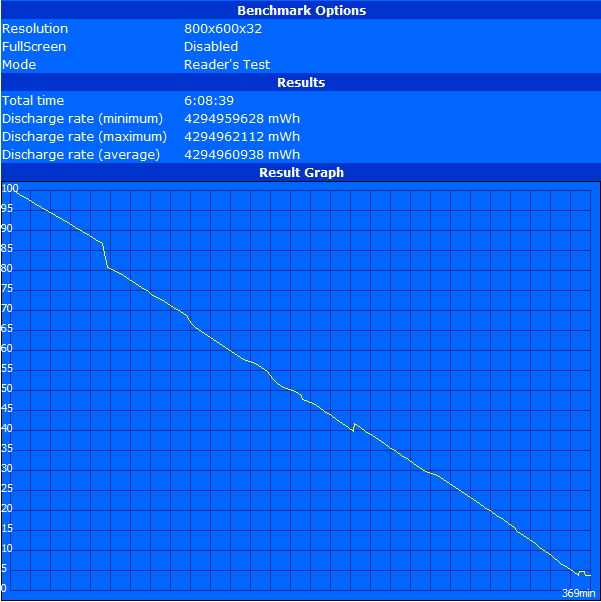 We then ran the Battery Eater Classic Test (performance profile, maximum display brightness, all wireless modules on) to check the minimum battery life: the EliteBook 2760p needed to be recharged after a little over one hour. The battery life can be roughly doubled by using the slab battery, which attaches to the bottom - although the weight increases by 560 grams (~20 ounces) and the height by 1.8 centimeters (0.71 inches). 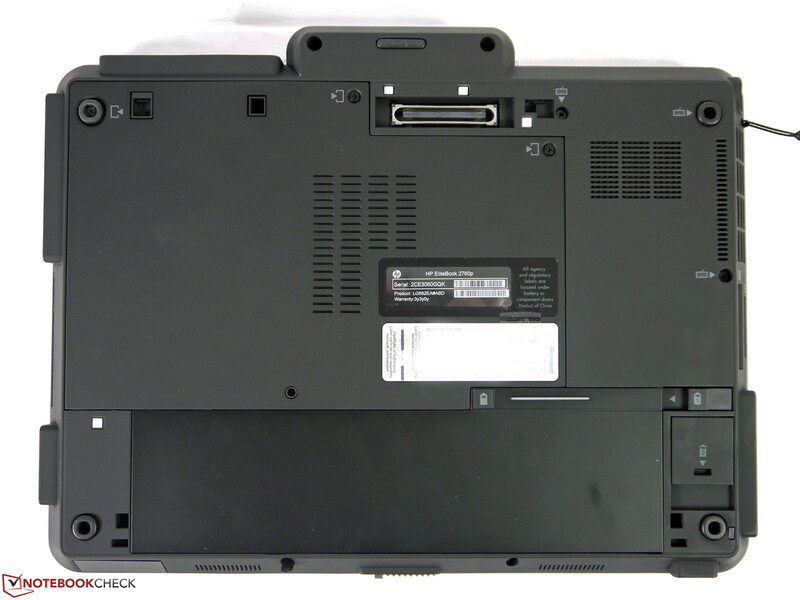 Although the chassis of the HP EliteBook 2760p is outstanding even by today's standards, the convertible lacks in other areas: important ports like DisplayPort, eSATA, and USB 3.0 are nowhere to be found, and the CPU/GPU combo is a full generation behind - not what we expect to see considering the premium status of the device. Although the fast Solid State Drive makes up for the outdated hardware to a certain degree, there is no question that the EliteBook is at a pretty significant disadvantage compared to the competition. The expected battery life is only about 3 hours and hence average at best. Other minus points are the small touchpad, the mediocre output via VGA, and the antiquated keyboard light integrated into the display bezel. All in all, we think that the system is in need of a major overhaul. 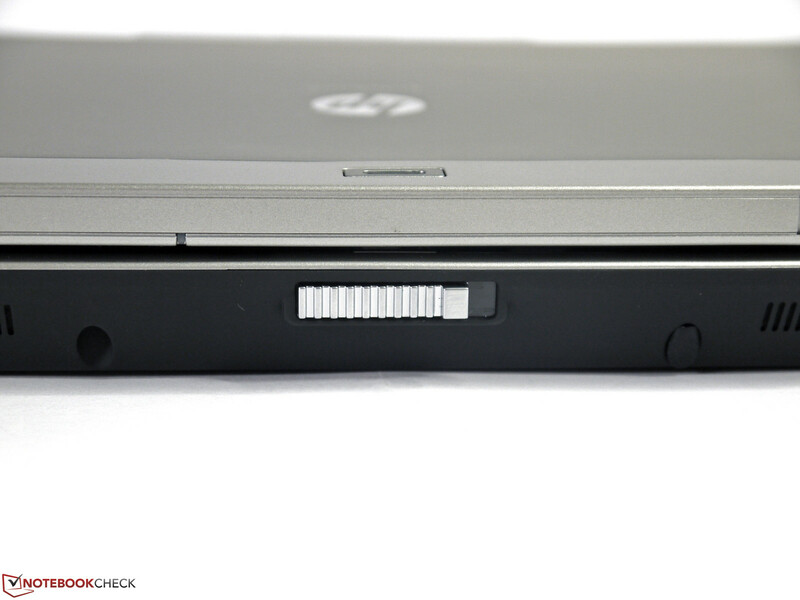 Despite what we said above, the HP EliteBook 2760p can still be the perfect solution for some users. Overall performance, the quality of the display, and the build quality manage to impress. Especially the chassis with its metal surfaces and sliding switches might trigger an emotional response and sway some users. The plethora of accessories for the series, the compatibility with the older models, the ease of maintaining and upgrading the system and the important business-oriented features might appeal to the rational user. It is up to the potential buyer to decide whether the price of almost 1500 Euros (~$2000) is justified or not. 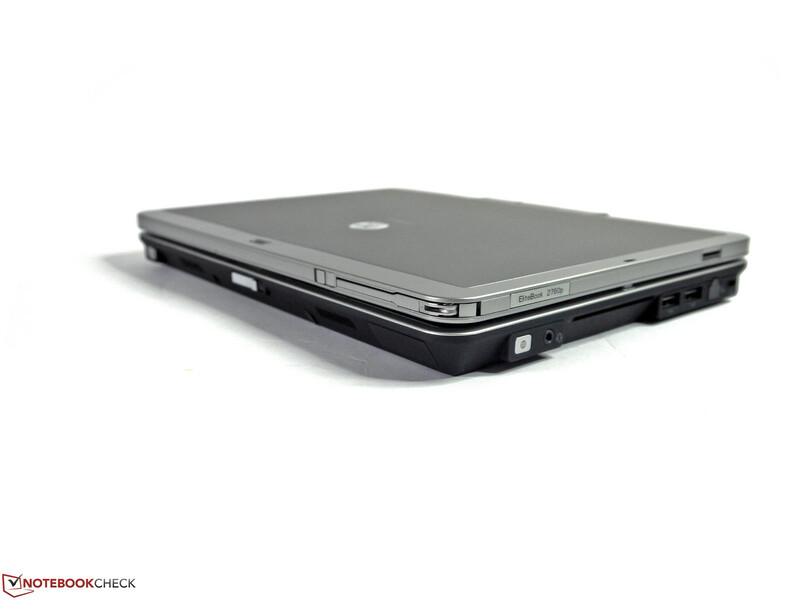 The HP EliteBook 2760p is a classic convertible. 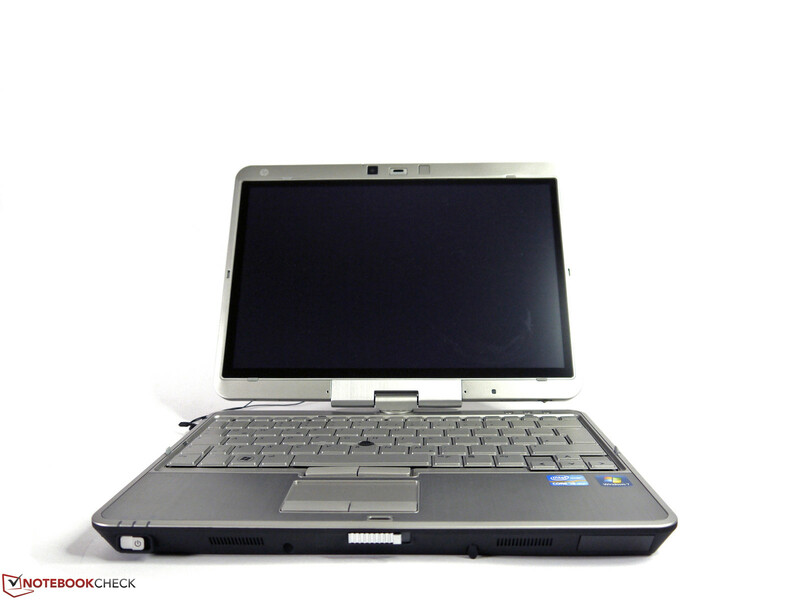 ... since the debut of the original HP Compaq 2710p. In tablet mode, the user can work with the fingers or a stylus. Overall, the display is pretty impressive. The switches are both elegant and functional. The display lock doesn't always do its job. The antenna supposedly improves WWAN performance. 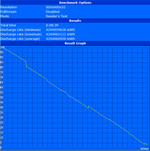 The digitizer pen supports various pressure levels. ... but not quite up-to-date in some areas. Some important functions are integrated into the display frame. The swivel hinge only turns in one direction. The USB ports are close together. Audio in/out are provided as a combo jack. 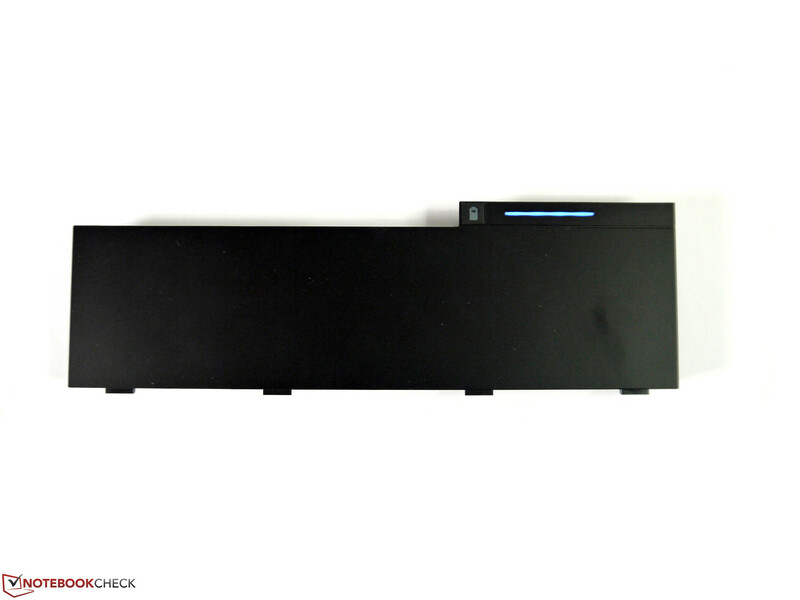 When the ExpressCard is used, the card reader is difficult to access. 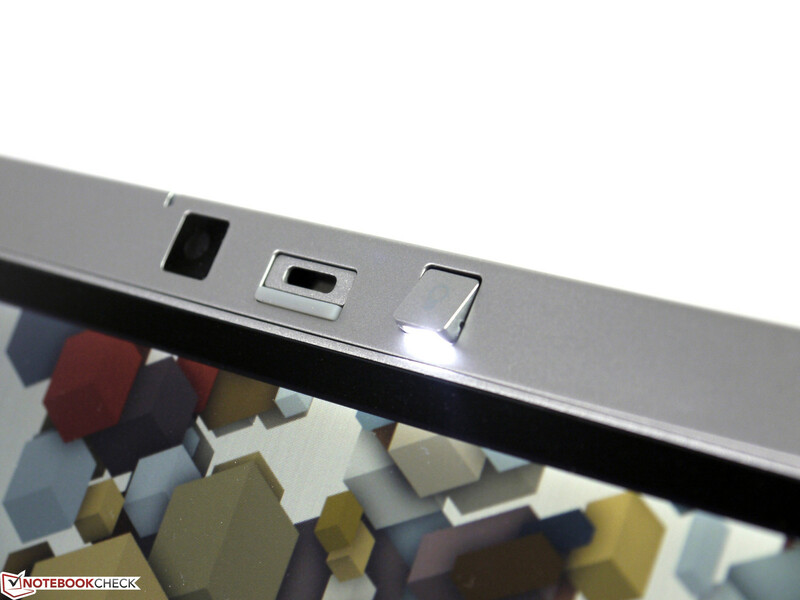 The keyboard light is integrated into the display bezel. 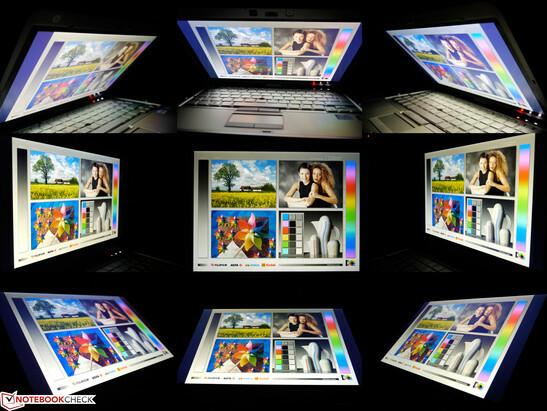 An ambient light sensor can adjust the display brightness automatically. The pen is easy to hold. Getting used to the buttons requires some time. The power adapter supplies 65 watts. 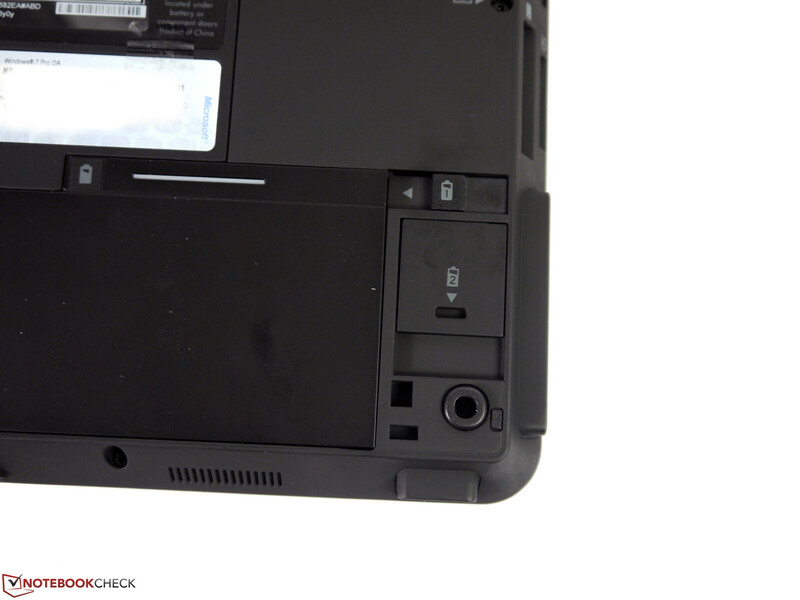 The SIM card is located behind the battery. 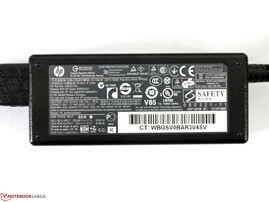 The battery features a capacity of 39 Wh. The large maintenance hatch allows access to most components. The sliding locking mechanism work well. 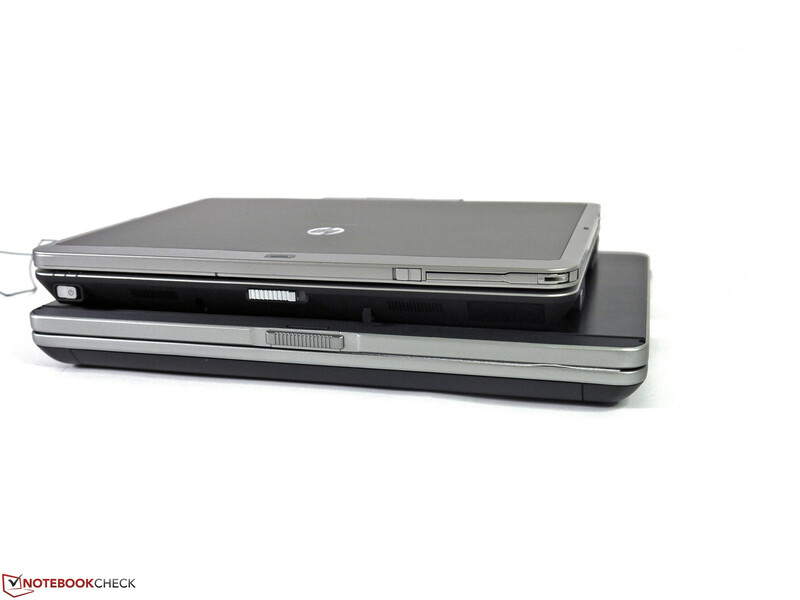 The HP EliteBook 2760p is noticeably smaller than the Dell Latitude XT3. Dell's convertible features an up-to-date port selection. 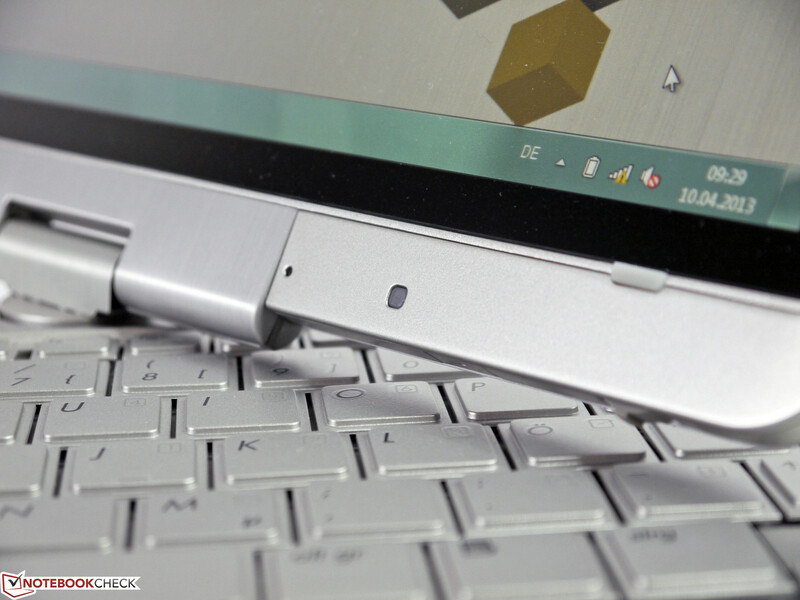 The impressive chassis and the combination of tablet and subnotebook. Longer battry life, up-to-date components, and a more competitive price. 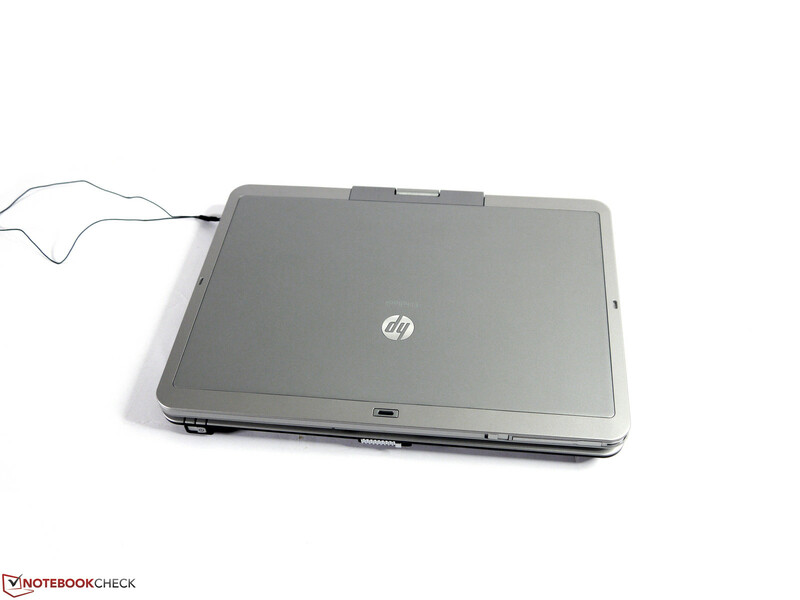 That HP still maintains their very long product cycles for the Elite-series convertibles. 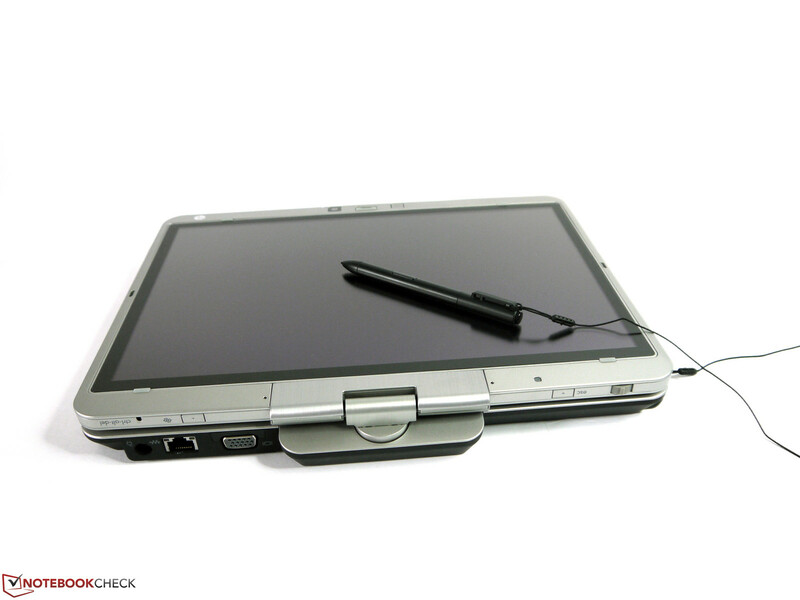 At the time of this writing, the Fujitsu LifeBook T902 is one of the best options in this class. 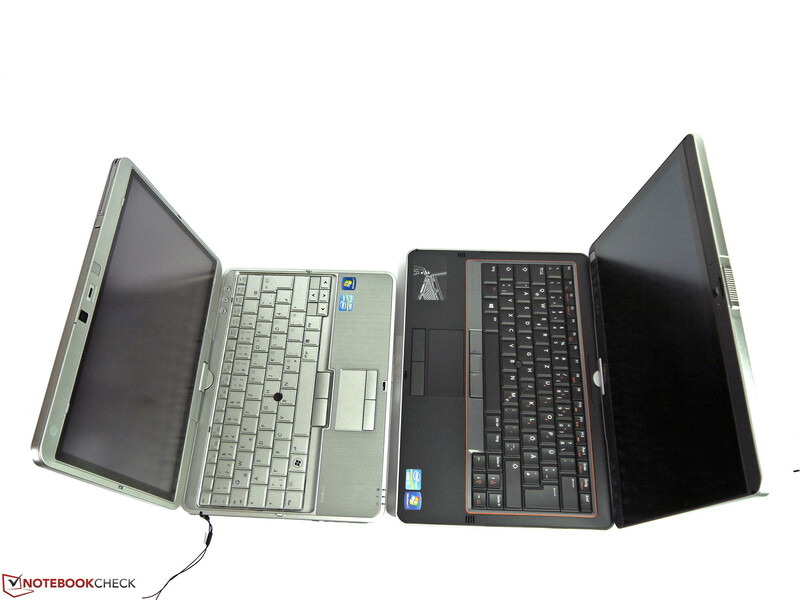 Other alternatives are the Dell Latitude XT3 and the Lenovo ThinkPad X230t.